Finally, the 2019 Mazda CX-3 is here and now available at Fairway Mazda! The latest edition of the widely-popular subcompact SUV is finally hitting dealer floors across the U.S. after months of anticipation. Do you want to learn more about the new Mazda CX-3? Then you've come to the right place! We create these model research pages for the benefit of drivers to make the car-buying process just a little bit easier. For this page, we're going to break down everything you need to know about the new 2019 Mazda CX-3! We'll take a look at the subcompact SUV's engine specifications, interior design and updates, technology features and more! Let's get started! No better place to start than underneath the hood! The 2019 Mazda CX-3 comes standard with a retuned and refined SKYACTIV®-G 2.0-liter engine. This spunky little engine offers drivers up to 148 horsepower and 146 lb-ft of torque. Front-wheel drive is standard on the 2019 Mazda CX-3, but drivers can choose the available predictive I-ACTIV AWD® if they're looking for some more traction. New for the 2019 Mazda CX-3 is available full-leather seating surfaces that offer incredible comfort along with a stylish design. And, because the Mazda CX-3 is adopting the electronic parking brake, the Mazda CX-3's center console and center armrest have been fully redesigned to accommodate more storage space! Comfort, style and space, that's the interior of the 2019 Mazda CX-3! Not everything is new in the 2019 Mazda CX-3, because not everything has to be! As they say, if it ain't broke don't fix it! The 2019 Mazda CX-3 retains the standard MAZDA CONNECT™ infotainment system that features a 7-inch full-color display that allows drivers to navigate their entertainment and diagnostic information easily and can be controlled through voice commands or the Commander control knob. Test Drive the 2019 Mazda CX-3 at Fairway Mazda in Savannah, Georgia, Today! 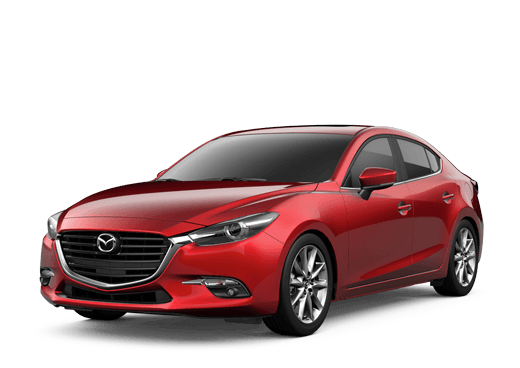 The 2019 Mazda CX-3 also retains the numerous advanced safety features and driver-assist technologies that made past models so safe. These features combine to make the driver more aware while driving and therefore safer on the road than ever before. Like the Blind Spot Monitoring with Rear Cross-Traffic Alert which warns drivers whenever there's a vehicle in their blind spot or one fast approaching. Or there Mazda Radar Cruise Control with Stop & Go Traffic which makes driving with the cruise control easier than ever as it'll accelerate and brake to maintain speed and distance from the car in front of you! Want to learn more about the 2019 Mazda CX-3? Ready to get behind the wheel of one? Contact our staff at Fairway Mazda for more information or to schedule a test drive today!